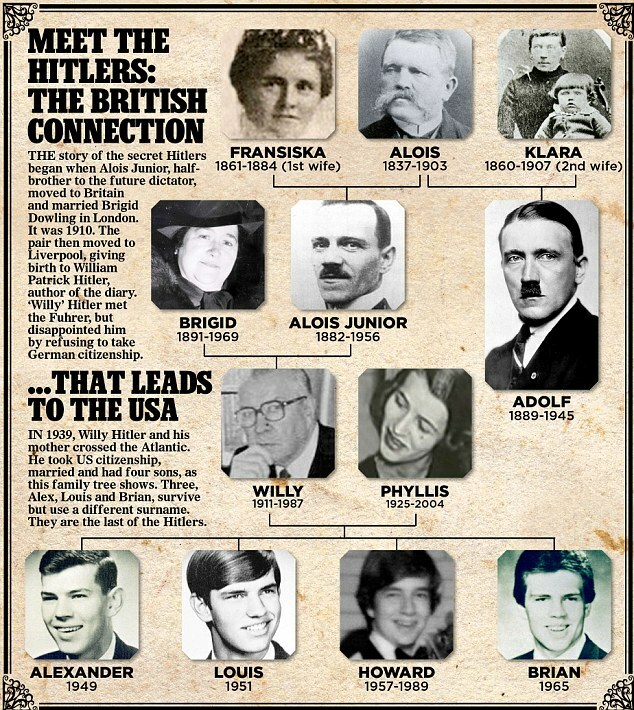 William Patrick Hitler was born in Liverpool in the UK in 1911. His father was Adolf Hitler’s brother Alois Hitler. William moved to Germany in 1933 in an attempt to benefit from his uncle’s position of power. It appears William, who was familiar with Adolf’s family background, was an embarrassing thorn in Adolf’s side during the 1930s. 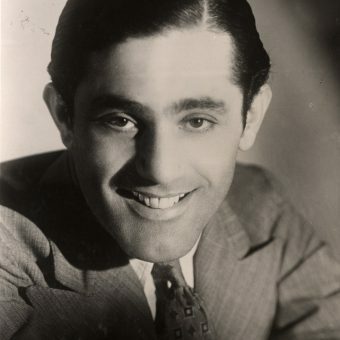 Moving to the United States in 1939, William served in the US Navy in World War II. After the war, William Hitler changed his last name to Stuart-Houston. 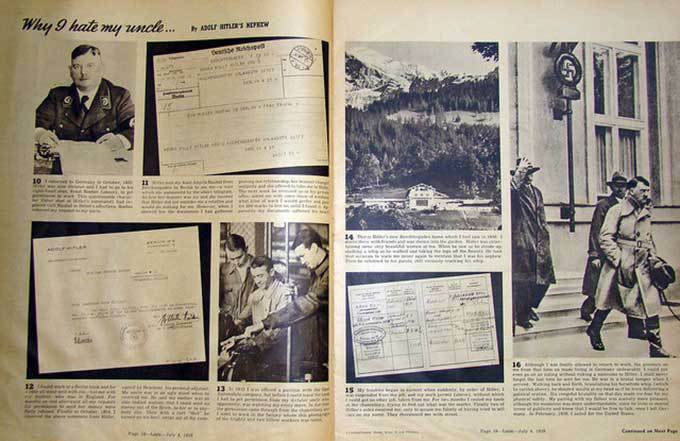 Look’s article is written by William and reveals what it was like to be Adolf Hitler’s nephew. Can you buy a copy? 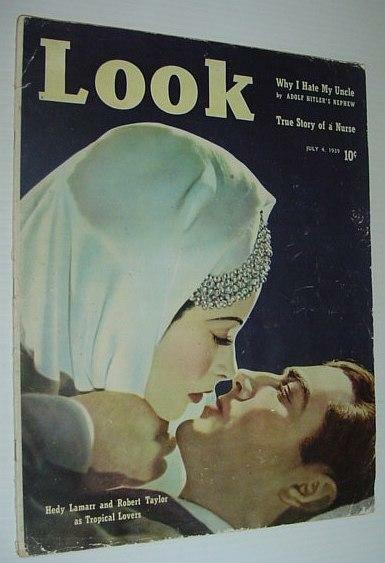 The July 4, 1939 issue of Look Magazine is scarce with just the single copy listed for sale on AbeBooks. It is offered by Rare Non Fiction, a seller located in British Columbia, Canada. Look was a rival to Life Magazine, and was published between 1937 and 1971. 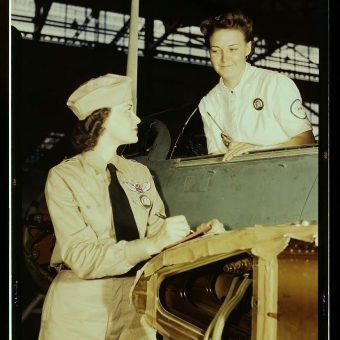 Prominently featuring eye-catching photography and well known people, Look employed Stanley Kubrick as a staff photographer from 1946 to 1951. Originally priced at 10 cents, this copy features Hollywood film stars Hedy Lamarr and Robert Taylor on the cover, and also has articles on America’s most wanted criminals, nurses, and horse racing. It is comfortably the most expensive copy of Look listed for sale on AbeBooks. So what happened to William Hitler afterwards? In 1940, a year after fleeing Nazi Germany and setting up home in New York, the writer of the following letter attempted to enlist with the U.S. Armed Forces; however, his application was denied for one incredible reason: his uncle was Adolf Hitler. He wasn’t deterred, and two years later, a few months after his uncle had declared war on the U.S., William Patrick Hitler (pictured above) tried again to register for military service by way of the fascinating letter below, sent directly to the U.S. President. It was quickly passed on to the FBI’s director, J. Edgar Hoover, who then investigated Hitler’s nephew and eventually cleared him for service. 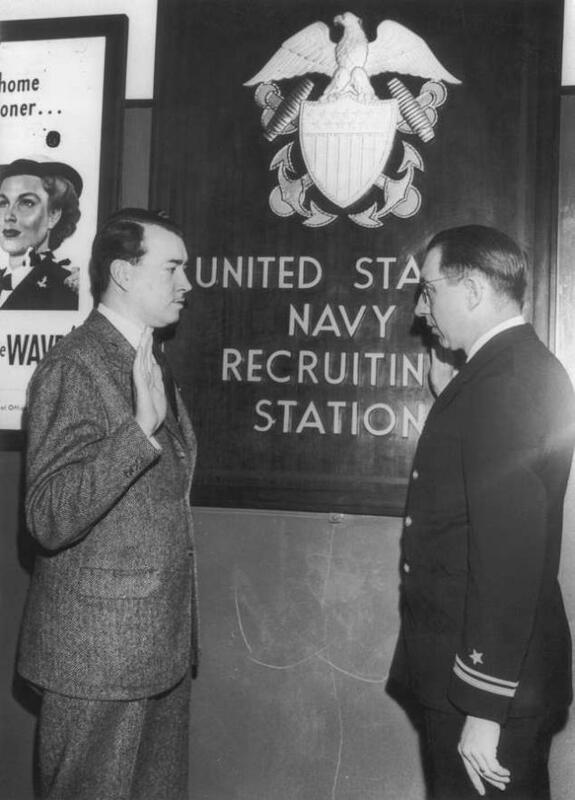 William Patrick Hitler joined the U.S. Navy in 1944, and was discharged in 1947 after being injured in service. He passed away 40 years later, in New York. 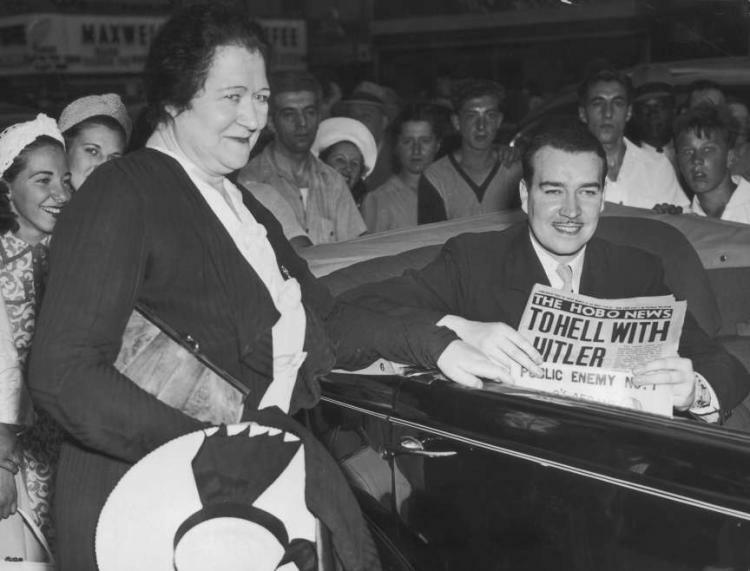 Brigid Hitler, the wife of Adolf Hitler’s half-brother Alois, says goodbye to her son William Patrick Hitler outside the Astor Hotel in New York City. 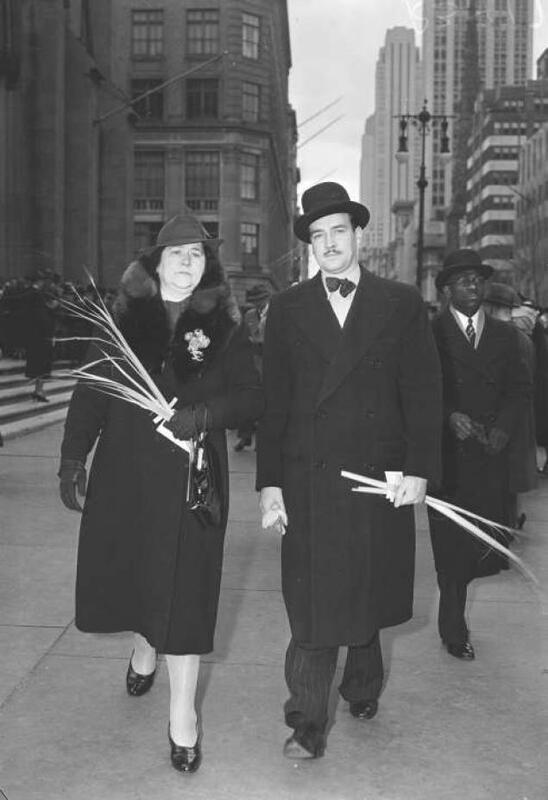 William Patrick Hitler, 28, and his mother, Mrs. Alois Hitler, leave St. Patrick’s Cathedral in New York City, April 2, 1939, after attending Palm Sunday services. 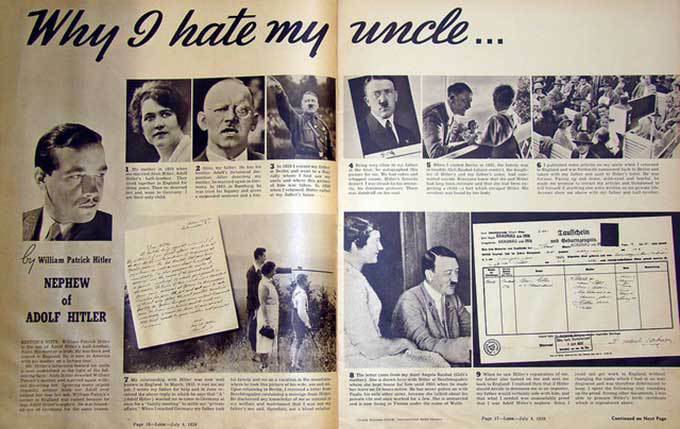 Hitler says the German chancellor is his uncle. In War Letters we read a letter William Hitler wrote to President Roosevelt, in which the Liverpudlian begged to be allowed to fight the Hun and send Adolf Hitler to hell. May I take the liberty of encroaching on your valuable time and that of your staff at the White House? Mindful of the critical days the nation is now passing through, I do so only because the prerogative of your high office alone can decide my difficult and singular situation. Permit me to outline as briefly as possible the circumstances of my position, the solution of which I feel could so easily be achieved should you feel moved to give your kind intercession and decision. I am the nephew and only descendant of the ill-famed Chancellor and Leader of Germany who today so despotically seeks to enslave the free and Christian peoples of the globe. Under your masterful leadership men of all creeds and nationalities are waging desperate war to determine, in the last analysis, whether they shall finally serve and live an ethical society under God or become enslaved by a devilish and pagan regime. Everybody in the world today must answer to himself which cause they will serve. To free people of deep religious feeling there can be but one answer and one choice, that will sustain them always and to the bitter end. I am one of many, but I can render service to this great cause and I have a life to give that it may, with the help of all, triumph in the end. All my relatives and friends soon will be marching for freedom and decency under the Stars and Stripes. For this reason, Mr. President, I am respectfully submitting this petition to you to enquire as to whether I may be allowed to join them in their struggle against tyranny and oppression? 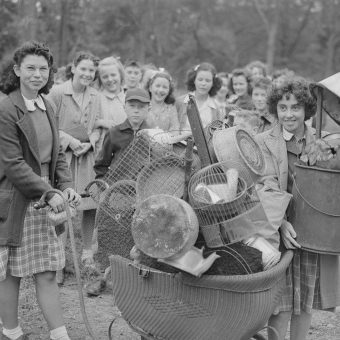 At present this is denied me because when I fled the Reich in 1939 I was a British subject. I came to America with my Irish mother principally to rejoin my relatives here. At the same time I was offered a contract to write and lecture in the United States, the pressure of which did not allow me the time to apply for admission under the quota. I had therefore, to come as a visitor. I have attempted to join the British forces, but my success as a lecturer made me probably one of the best attended political speakers, with police frequently having to control the crowds clamouring for admission in Boston, Chicago and other cities. This elicited from British officials the rather negative invitation to carry on. The British are an insular people and while they are kind and courteous, it is my impression, rightly or wrongly, that they could not in the long run feel overly cordial or sympathetic towards an individual bearing the name I do. The great expense the English legal procedure demands in changing my name, is only a possible solution not within my financial means. At the same time I have not been successful in determining whether the Canadian Army would facilitate my entrance into the armed forces. As things are at the present and lacking any official guidance, I find that to attempt to enlist as a nephew of Hitler is something that requires a strange sort of courage that I am unable to muster, bereft as I am of any classification or official support from any quarter. As to my integrity, Mr. President, I can only say that it is a matter of record and it compares somewhat to the foresighted spirit with which you, by every ingenuity known to statecraft, wrested from the American Congress those weapons which are today the Nation’s great defense in this crisis. I can also reflect that in a time of great complacency and ignorance I tried to do those things which as a Christian I knew to be right. As a fugitive from the Gestapo I warned France through the press that Hitler would invade her that year. The people of England I warned by the same means that the so-called “solution” of Munich was a myth that would bring terrible consequences. On my arrival in America I at once informed the press that Hitler would loose his Frankenstein on civilization that year. 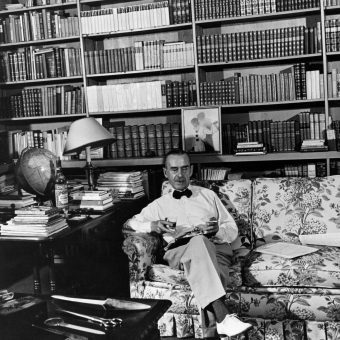 Although nobody paid any attention to what I said, I continued to lecture and write in America. Now the time for writing and talking has passed and I am mindful only of the great debt my mother and I owe to the United States. More than anything else I would like to see active combat as soon as possible and thereby be accepted by my friends and comrades as one of them in this great struggle for liberty. Your favorable decision on my appeal alone would ensure that continued benevolent spirit on the part of the American people, which today I feel so much a part of. I most respectfully assure you, Mr. President, that as in the past I would do my utmost in the future to be worthy of the great honour I am seeking through your kind aid, in the sure knowledge that my endeavors on behalf of the great principles of Democracy will at least bear favourable comparison to the activities of many individuals who for so long have been unworthy of the fine privilege of calling themselves Americans. May I therefore venture to hope, Mr. President, that in the turmoil of this vast conflict you will not be moved to reject my appeal for reasons which I am in no way responsible? For me today there could be no greater honour, Mr. President, to have lived and to have been allowed to serve you, the deliverer of the American people from want, and no greater privelege then to have striven and had a small part in establishing the title you once will bear in posterity as the greatest Emancipator of suffering mankind in political history. 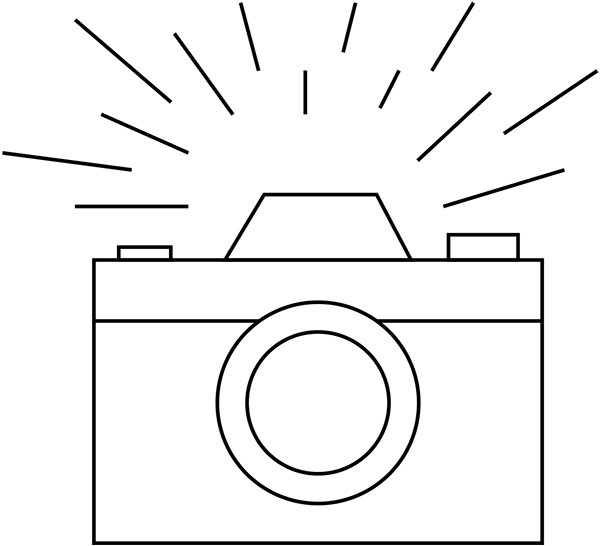 I would be most happy to give any additional information that might be required and I take the liberty of enclosing a circular containing details about myself. Permit me, Mr. President, to express my heartfelt good wishes for your future health and happiness, coupled with the hope that you may soon lead all men who believe in decencey everywhere onward and upward to a glorious victory.